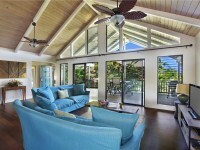 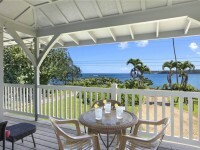 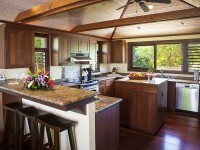 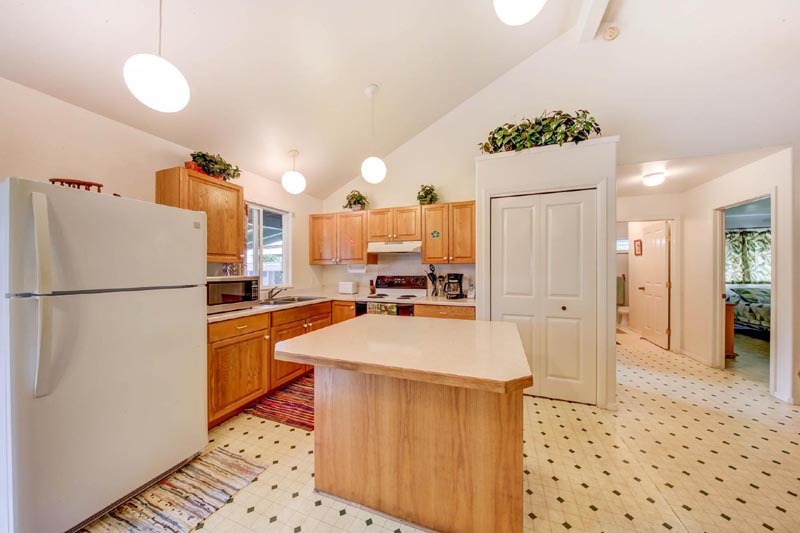 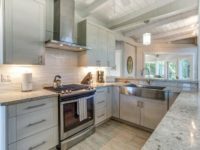 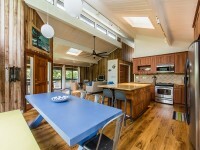 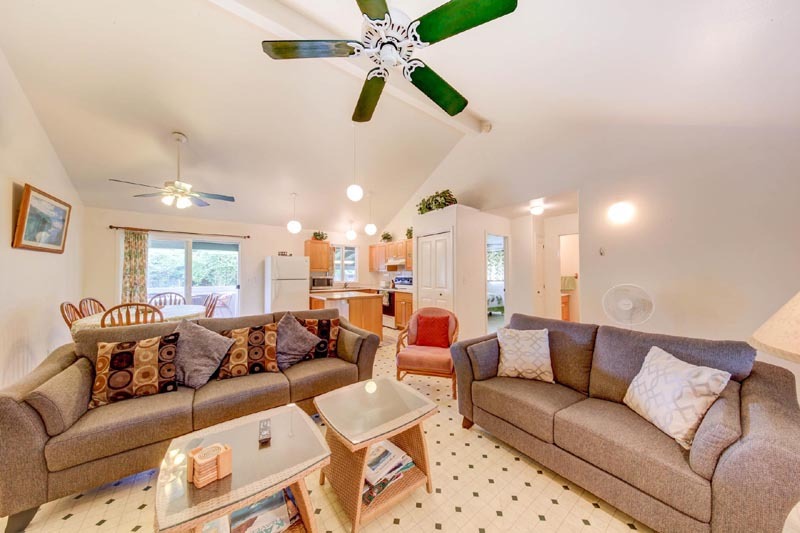 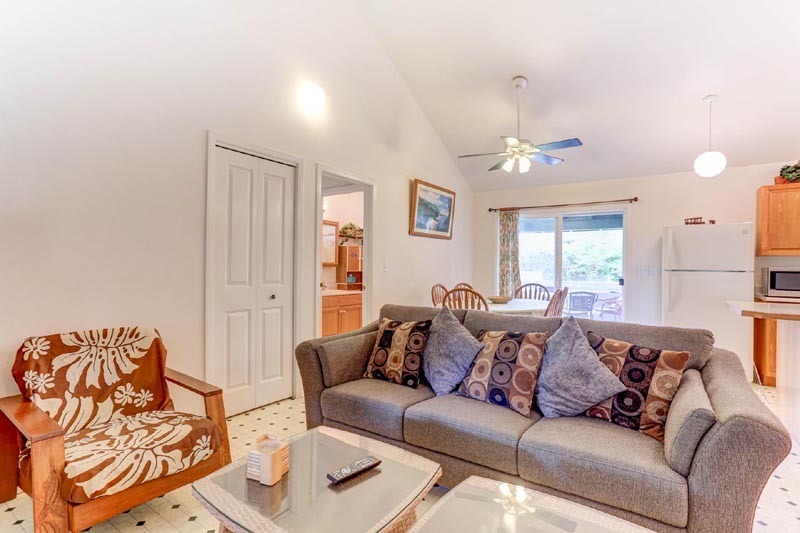 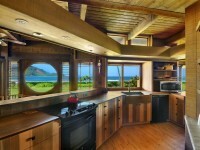 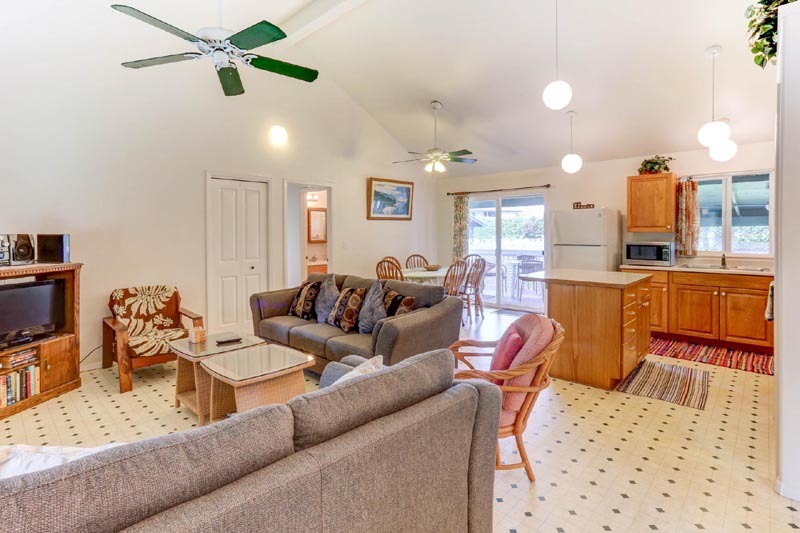 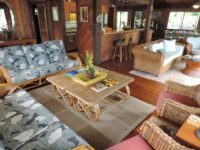 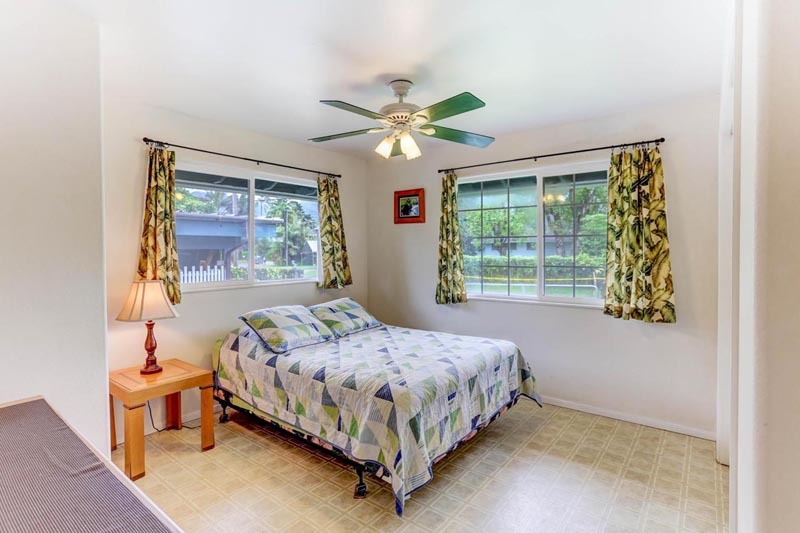 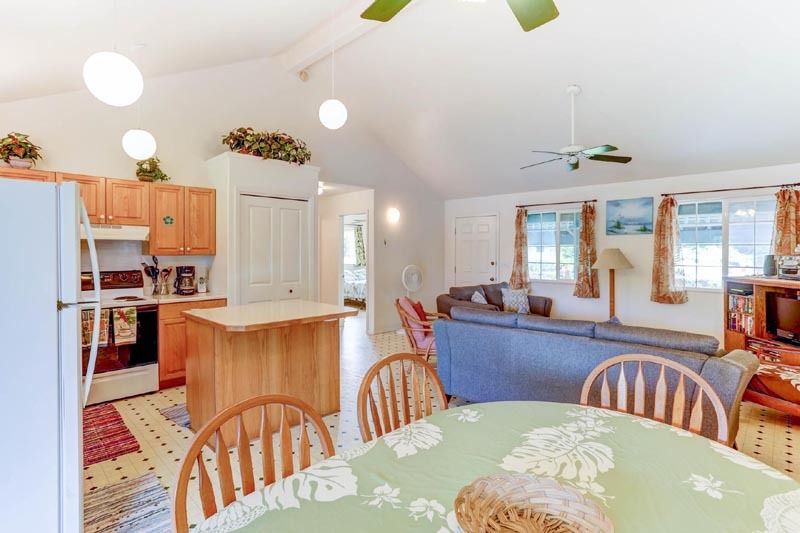 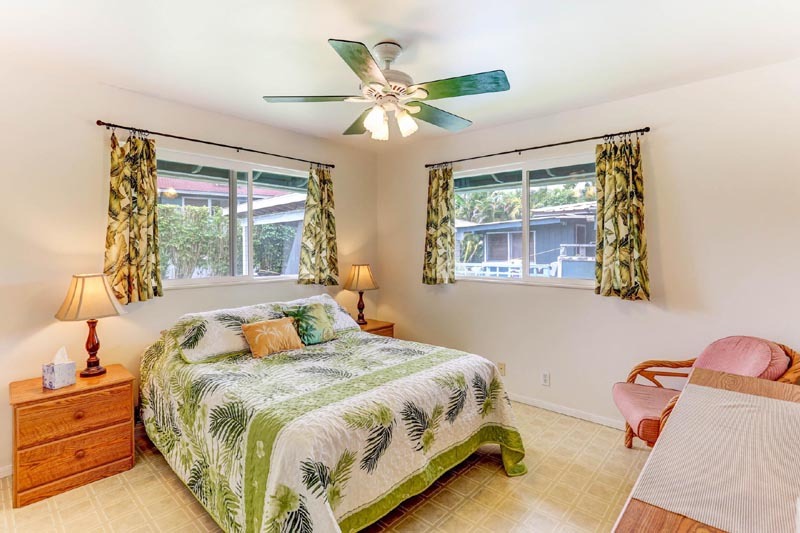 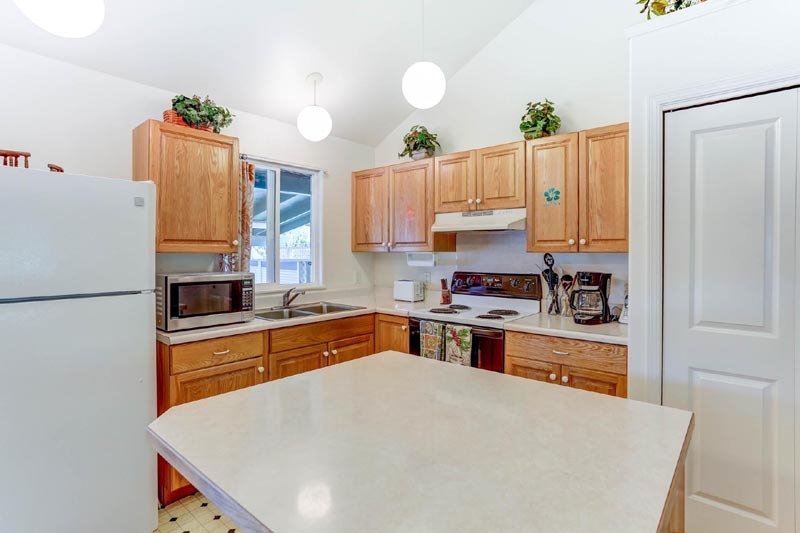 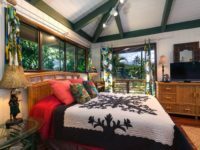 HANALEI, KAUAI VACATION RENTALS: Walking distance to beautiful Hanalei Bay or to quaint Hanalei Town, this one-story, 1,100 square foot vacation home offers you the best of both worlds. 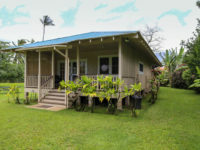 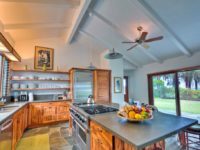 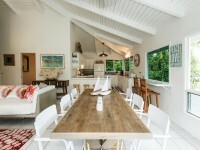 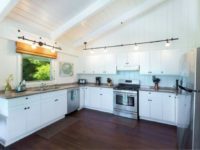 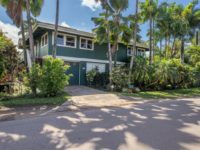 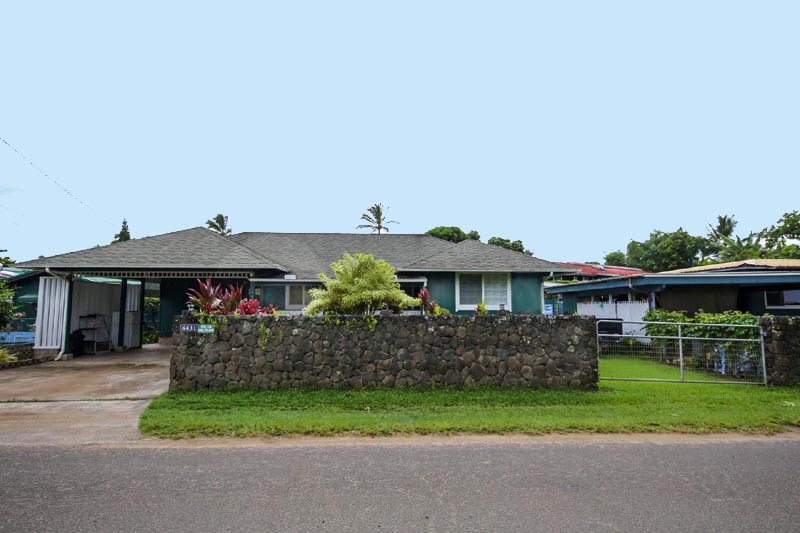 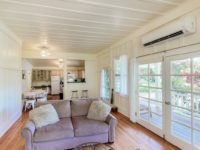 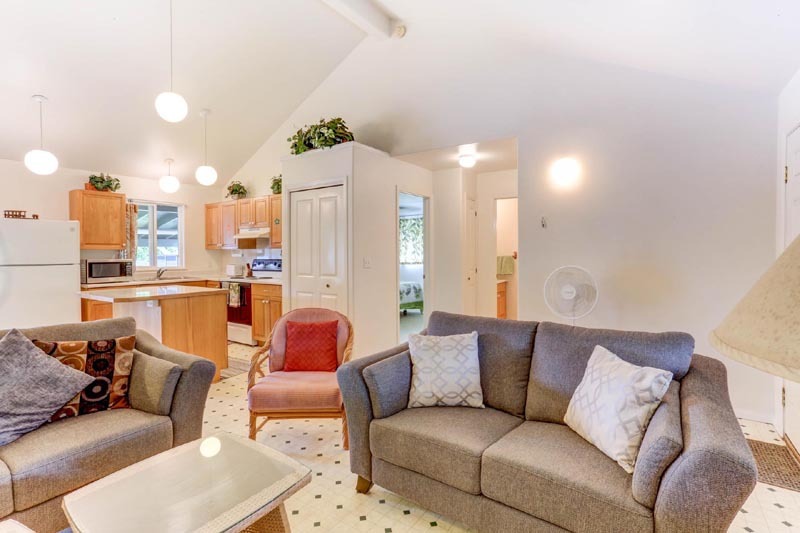 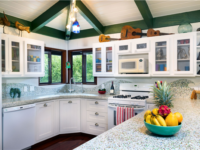 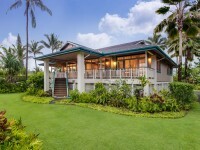 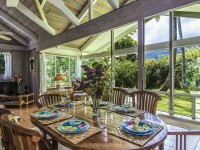 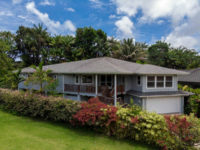 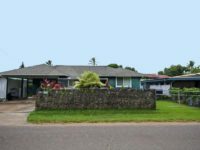 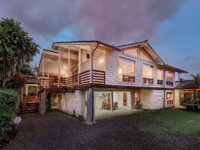 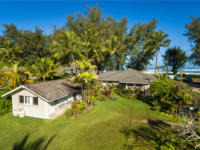 ‘The Hanalei House’ or also known at Ka Hale Hanalei is a charming 3 bedroom/ 2 bath private house surrounded by the peace and quiet of the Hanalei neighborhood. 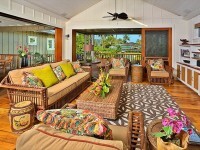 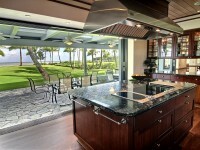 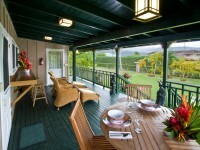 Relax on the back lanai to discover the beauty and splendor of the North Shore of Kauai. 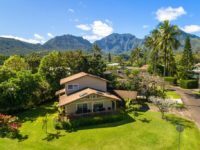 Hanalei features lush valleys and mountains with cascading waterfalls as well as picturesque Hanalei Bay and historic Hanalei Pier. 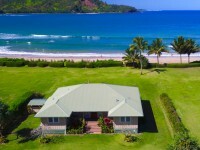 Hanalei Bay is a stunning two-mile stretch of white, sandy beach, where whales and dolphins can be seen. 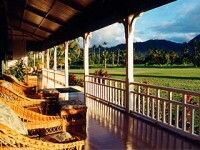 You can witness a magnificent rainbow during a sunset stroll or picnic on the beach. 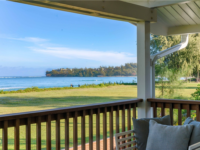 During the summer season, the Bay offers kayaking, snorkeling, swimming, and seemingly endless sunshine, while the winter season is famous for its powerful and breathtaking surf. 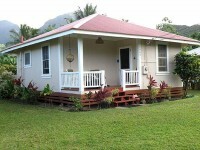 Browse through quaint Hanalei town, with its various specialty shops and art galleries. 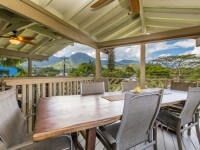 You can also sample a variety of our ‘local’ foods and talents at the many eateries Hanalei Town has to offer. 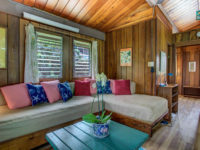 Visit the world-famous Hanalei Valley, a US Fish and Wildlife Refuge – home to many species of birds, some endangered, as well as being the largest area of taro grown in the state of Hawaii. 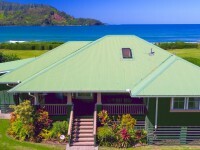 There are so many things to see and do on Kauai. 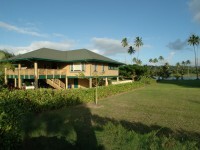 The west side features Koke’e State Park and Waimea Canyon (the ‘Grand Canyon of the Pacific’). 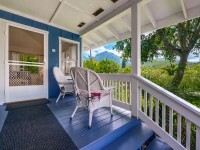 The South Shore boasts the Spouting Horn and the Tunnel of Trees. 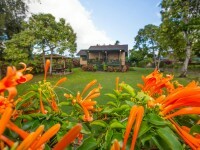 On the east side, there is the Wailua River and the lush, fern-covered cavern of the Fern Grotto.